Continue building relationships with friendly video check in's and announcements. As you reach out to customers for potential expansion opportunities, video is a great way to engage and build rapport. Send out a video to start a conversation. Your goal is to share something of value, and hook them in for a longer conversation where you can learn more about their goals, and see if there is an expansion opportunity. 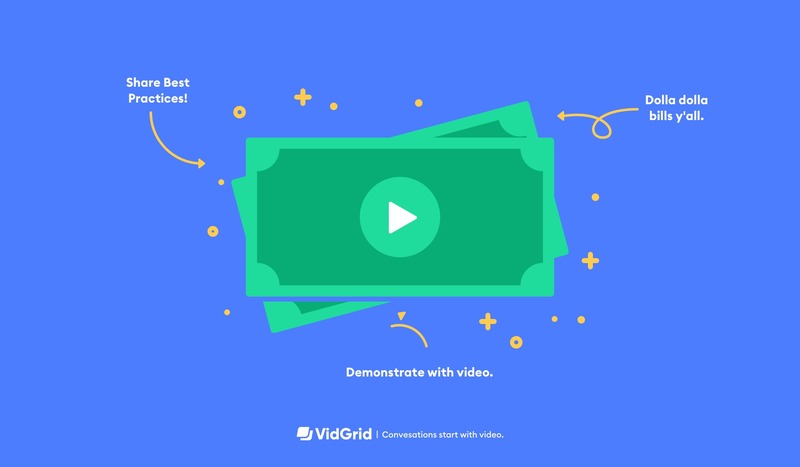 Make a highly personalized video based on what they client is actually doing with your product. Give them a few points on how they could improve, and let them schedule time on your calendar to discuss further in depth. Are you launching a new product that this customer will be especially interested in? Make them a personalized video to show the customer how it will benefit them. End the video with a call-to-action of what the customer would have to do to get started. Who says you need an excuse to start a conversation? Drop a quick video note to ask how things are going, if their needs have changed, and if there is anything you can do to help. Make sure that they can respond to you within the video, reply by video, or schedule a time to meet 1-to-1 on your calendar. For the highest impact, do your research before making a video - both on your clients’ needs and on the value of the expansion opportunity. To optimize between establishing a personal connection and conveying the most value, you may want to start the video with your face, switch to a screen recording, and then end with your face.